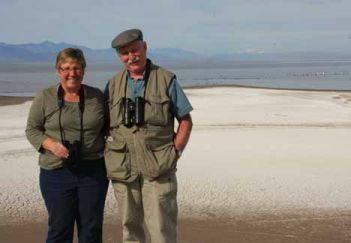 "About Us" is a brief autobiography and the circumstances that led to creating this website, Classic Collection of North American Birds Ltd. (also known as CCNAB). Hello, my name is Brian Young, born and raised in the municipality once called Breckenridge and is now known as Chelsea, Quebec. Our home is in Hollow Glen, a sector separated from the village of Chelsea, by the Gatineau Park. The Gatineau Park is part of the Laurentian Mountain Chain. My first interest in nature became apparent from an early age. I remember hiking in the foothills of the Gatineau Park, spending time along the shores of the Beamish Lake and wandering through the farmfields and meadows. This love of nature continued throughout my life, as I canoed, biked and hiked, touring the different regions of Canada and the United States. Whether sitting in the meadows in the conifer forests of Northern Quebec, walking the coastlines of the Atlantic or Pacific, hiking the West Coast Trial or biking the Rockies, I always took the time to observe the wildlife around me. 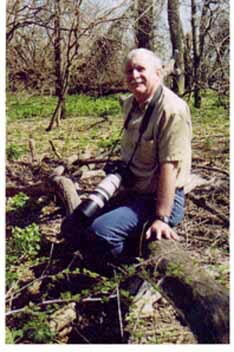 I started photographing birds in 2005, adding photos to my bird portfolio, which I had started in the mid-1950s. Classic Collection of North American Birds, CCNAB for short, is a library of the different bird types and these same birds photographed in different seasons. This is an ongoing venture, where birds will be entered as they are acquired. We hope you will find the same pleasure in seeing the bird pictures, as the pleasures we had in gathering them. My wife, Lise is retired and I am self-employed. We spend all our available time outdoors, planning our vacations in regions which will provide an opportunity to see and hear new birds.